One of your favourites! 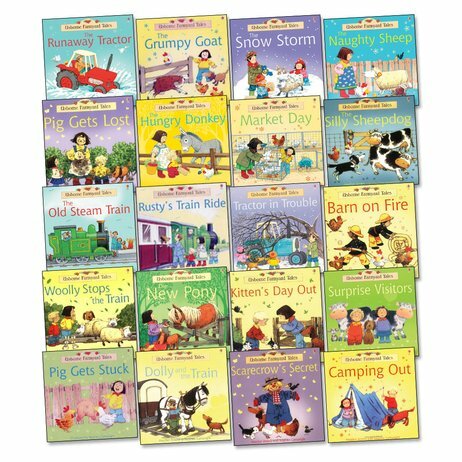 Fresh, merry stories full of farmyard fun to share. Clever dual-level text lets you read to your grown-ups while they read back to you. If you want to start reading and you love a great story, these are some of the nicest books you can try. Tractors, animals, fun in the fields: there’s so much to enjoy! Simple picture clues help you follow each story. And if you’re new to reading, you needn’t read the whole books on your own. A shorter text line in each story lets you chip in with easier words. Don’t just listen – read too!